There are many forms of miniature painting out there, but in its broadest sense we can whittle it down to two camps, tabletop quality and display quality. 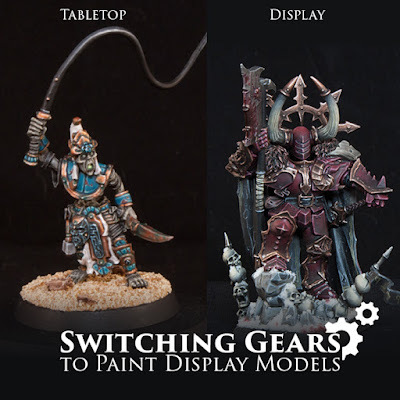 Both of these require different approaches, and some tabletop painters can't do display quality, while some display painters can't turn out an army. What does it take to transition between the two? Like anyone who starts out in this hobby, I started out aiming for tabletop quality at best. 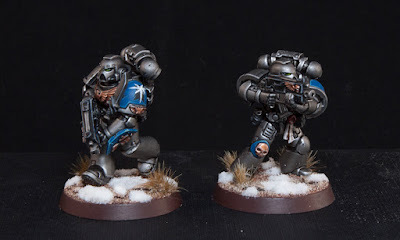 My first army of Ultramarines was pretty horrible, and when I see some peoples' "first models" now I am amazed at how good they are for just starting out. 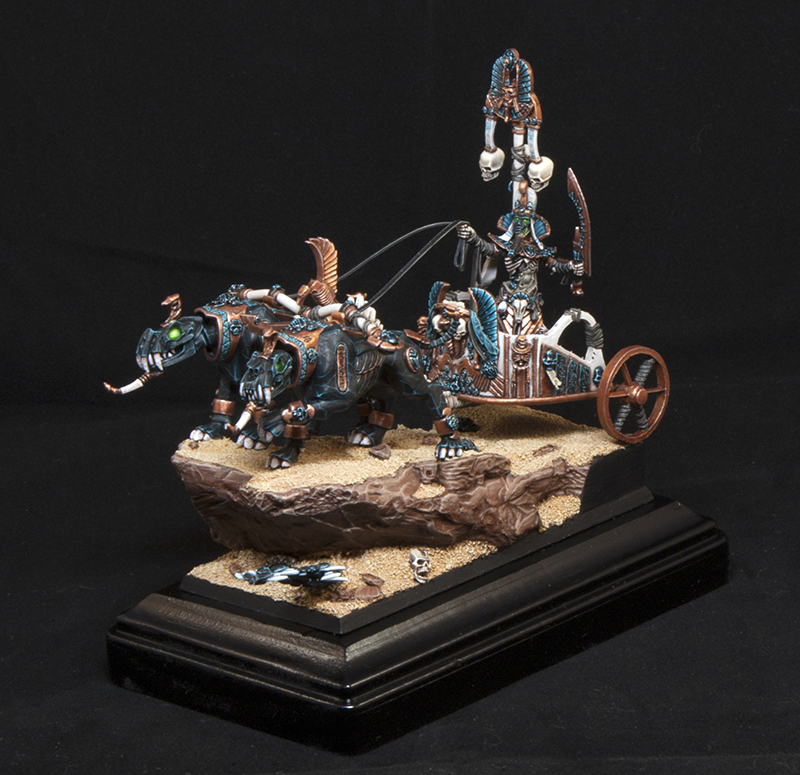 Over the years I have painted a few armies (very slowly) and have also won two Golden Demon awards and two Armies on Parade awards. Painting a model for display or a competition is a whole other beast compared to painting something for your army, even a character. 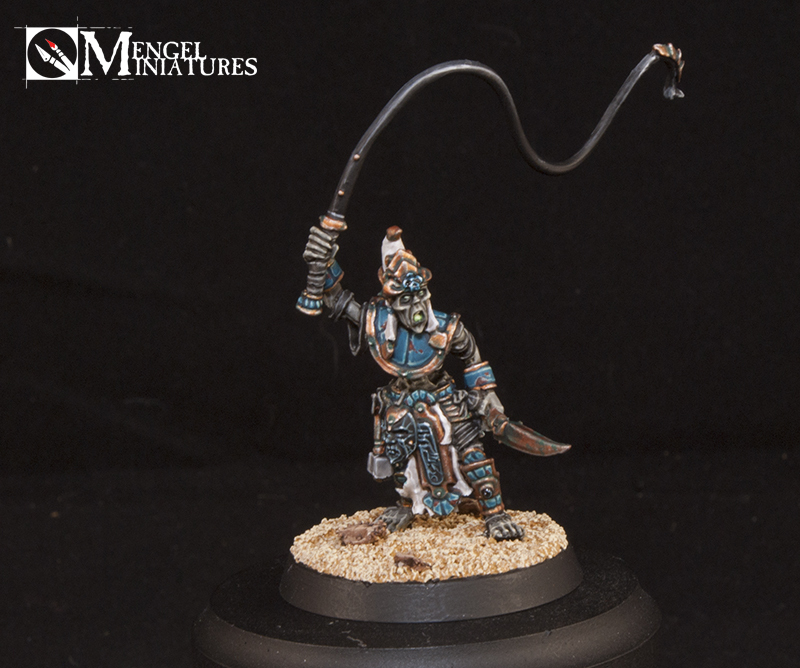 The above model is a character in my Tomb Kings army, and while I put more time and effort into him then my rank and file guys, he's still no where near a competition level of quality. I would say that my average human sized army character model takes me anywhere from 8 - 16 hours total to paint. A lot of that just depends on how detailed the model is. I paint my units in an adjusted production line. While I will lay down some colors on all of them at once, I generally go from shade to highlight on a small batch before moving onto the next small batch and doing the same color. This prevents me from burning out, but still keeps all of the models somewhat consistent. Each unit requires a different approach too. For my skeletons I paint them in groups of 10 and will generally paint each step of the bone on all of them at the same time. This is due to it be an easier color, the models being somewhat smaller and less detailed, and also the painting level I am aiming for them being a bit lower than more detailed models. For my Stormcast I will paint a unit of five all at once. 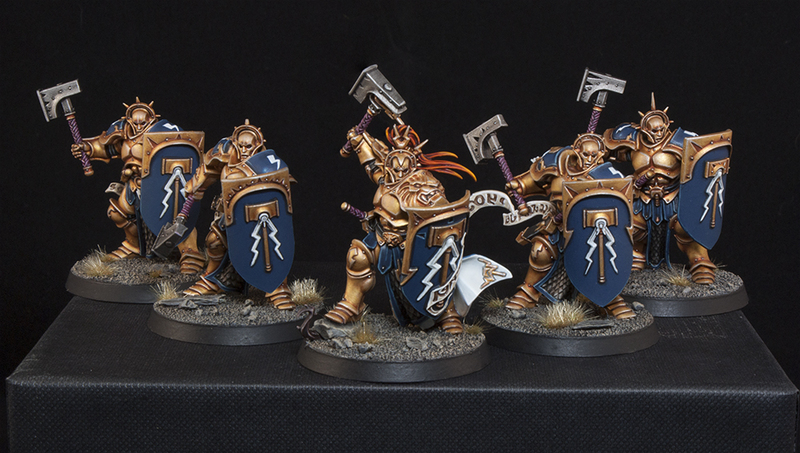 All of the gold will be basecoated and shaded at the same time across all of them, but then I move to doing all of the layering, blending, and highlighting on each model one at a time before moving to the next. I still make sure all of the gold is done completely across the whole unit before moving onto the next color, but it's definitely less of a production line. This is because the models are larger and I am also aiming for a higher level of quality across the whole army. 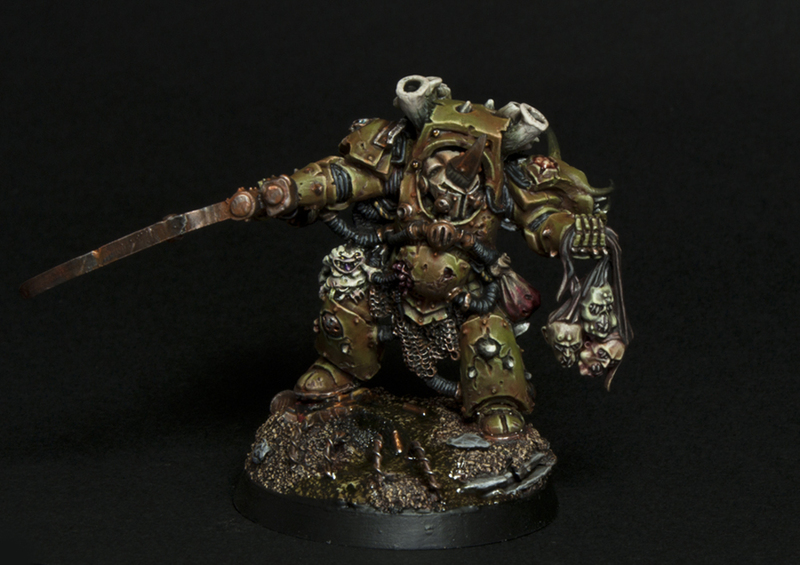 I blend all of the golds and do my best to get as close to the 'Eavy Metal paint jobs as possible. Part of this is because I started my Tomb Kings in 2011 and my Stormcast in 2015, so my abilities have progressed a bit over that time. Even though I can paint better then I did in 2011, for the most part I am trying to make my Tomb Kings look consistent across the whole army. I paint cleaner now, but I don't go crazy on blends on such except for on characters and special units. 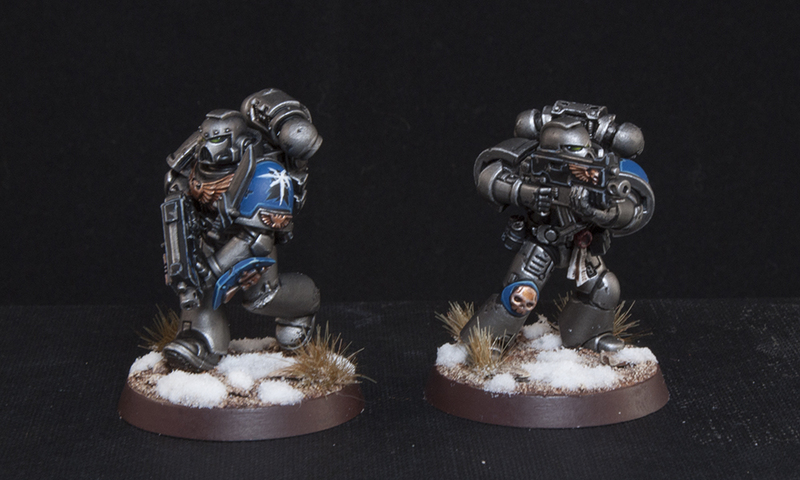 With my Astral Claws I painted the marines in batches of two and spent about 6 - 8 hours on each batch. This was the army I was painting back when I decided to get really serious about winning a Golden Demon back in 2012. I knew it was going to be a completely different beast and that I would have to completely switch up the way I paint to even have a chance of winning. The first thing I had to do was choose what model I was going to paint. I wanted it to be something newer, dynamic, and also something that plays to my strengths. I ended up choosing the Savage Orc Boss which had just come out. I consider myself really good at painting skin and organic stuff, and there was also a very limited palate on the model which let me focus a ton on just a few colors. Before I even started I looked through all of my collected reference material and found an older 'Eavy Metal Masterclass on painting skin which did a little bit on Orc skin. I also decided I was going to try out a new technique for me, zenithal highlighting. I probably ended up spending about 50 hours on this guy at the minimum. This was a hug departure from how long I usually spend. The actual painting was spread out over about a month and a half. The first thing I tackled was the skin since it's about 80% of the model. Even this was broken down more, with my painting the body in chunks. I would do one leg to completion, then the other one, then the torso, then one arm and shoulder and so on. This was because I was spending so much time on it that I was afraid that if I tried to do all of the skin at once I would start getting bored and the painting would suffer for it. By breaking it up into as small of chunks as I did I made sure that each part of the model had my full attention. I also grabbed some new painting tools such as Drying Retarder to help my blending. 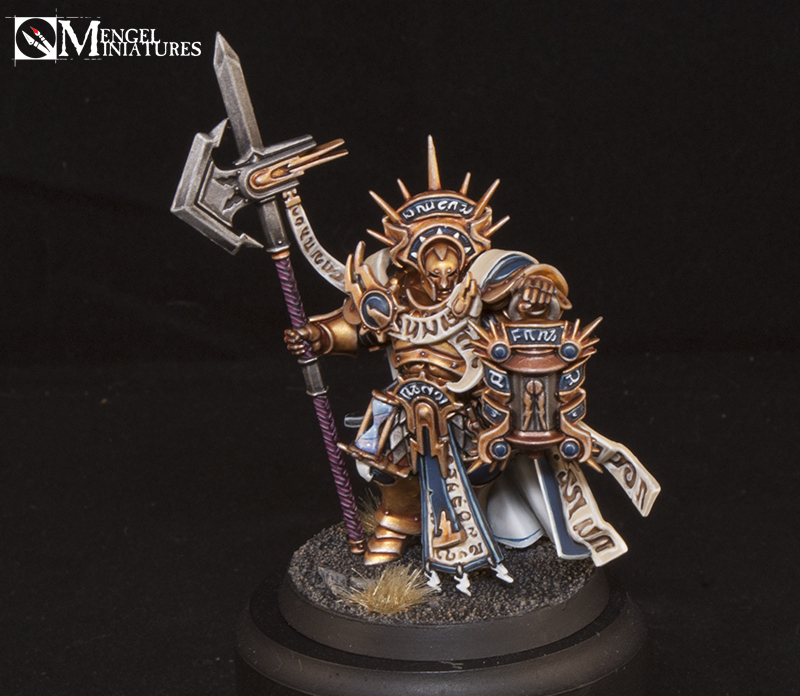 All of this paid off with a silver trophy in Warhammer Single Figure at the 2013 US Golden Demons. 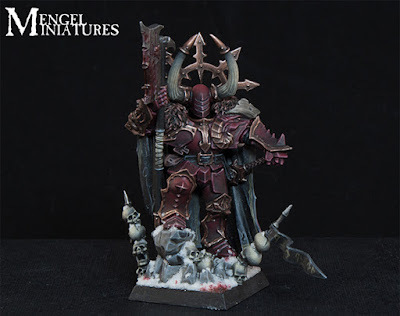 The next year I did it all over again with my Chaos Lord, which probably had 80+ hours invested in him. Each individual armor plate was painted from start to finish on its own. I even decided to throw in some conversion work and sculpting. 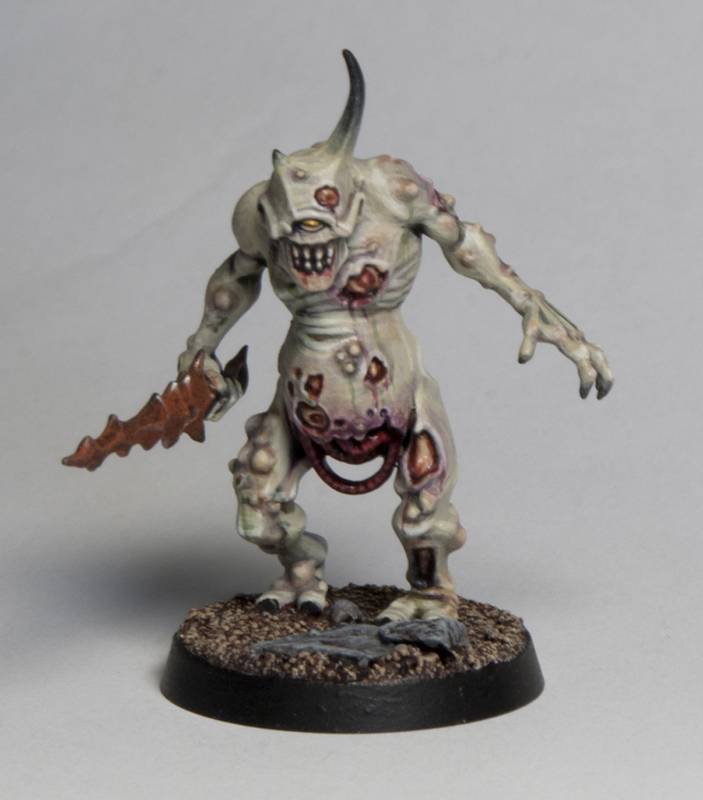 Unfortunately this guy only made it to the final cut but didn't pick up a trophy, instead my unit of Plaguebearers won a silver that year for 40k Unit. If I was to try and paint an army in the same manner as my winning models I would never get anything done. Painting to a display/competition level really requires you to be ready to put the next month or more of your life into just one model. And that's just for human sized 28mm models. My Tomb King on Chariot probably took over 100 hours when you factor in all of the converting and sculpting that went into it. You need to be ready to spend as much time painting just one hand on the model as you would an entire character in your army. 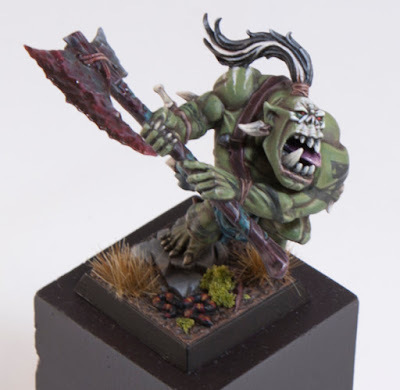 While there is no doubt that skill plays a huge part in getting your models to that quality, I still think the biggest hurdle is the amount of time put in and your approach to painting it. It pretty much requires two different mindsets. There are a lot of competition painters out there now who wouldn't be able to paint an army because it's too hard for them to switch gears and purposefully lower their standard and amount of time put in in order to get a whole army done. I find it hard sometimes to paint quicker, even though I know I can. My Stormcast were originally meant to be a quick army, and now I end up spending about 2 - 3 hours on the gold armor of just one model at a time. 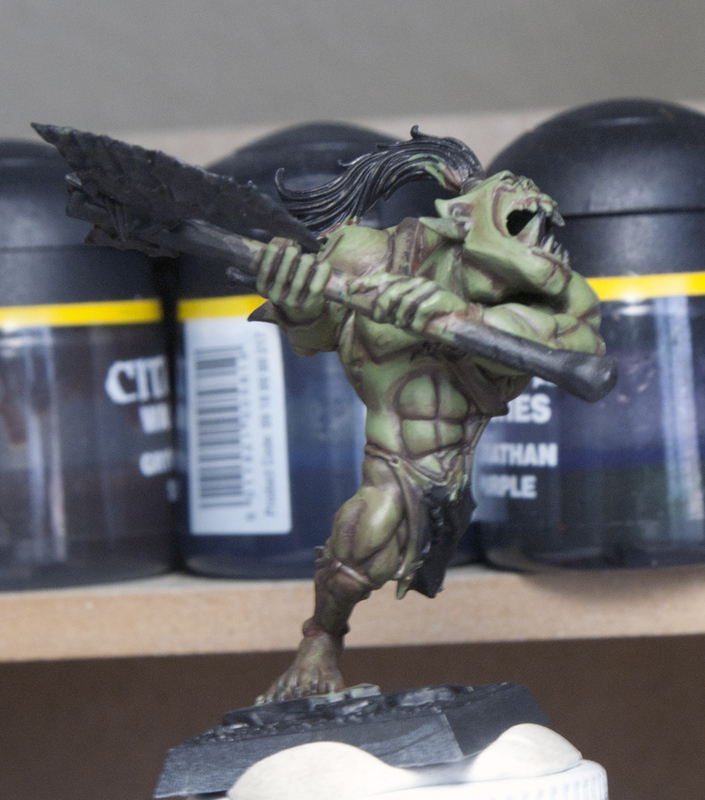 It's possible to master both methods of painting, but for any hobbyists out there looking to gear up for a competition and nab an award, be prepared to put the time in. While you can win awards with less time put in, I would say on average be ready to spend about 50 hours on just one man sized 28mm model. 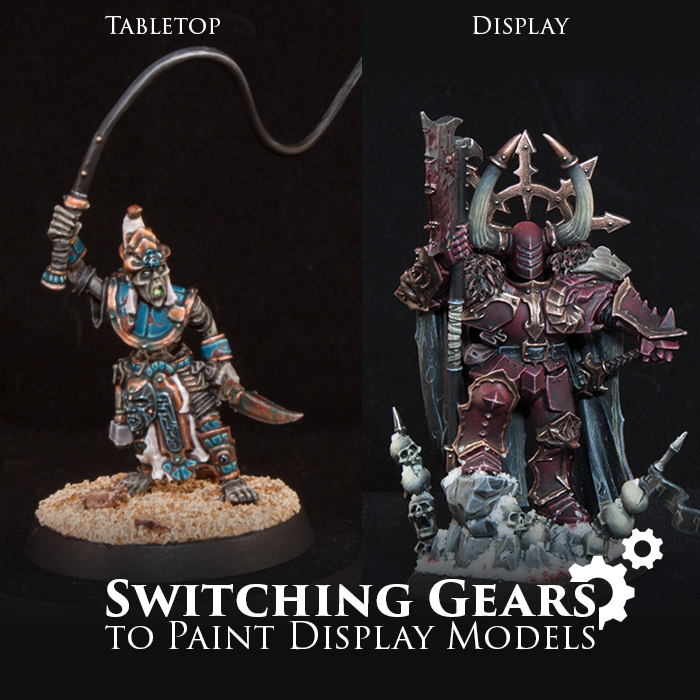 Have you gone from painting mostly armies to painting competition models? Let me know in the comments below and share your own thoughts on what you need to do to make the switch.